Once you’ve landed in Sydney be prepared for the time of your life. And while Sydney itself is very big and worth visiting, there are so many other different out-of-town places you’ll want to see. All the vineyards and the food tasting in Hunter Valley tours and all the Australian wildlife with its river cruises are all waiting to be explored. Best way to get there is with the coach tours that leave from Sydney straight to the chosen destination. 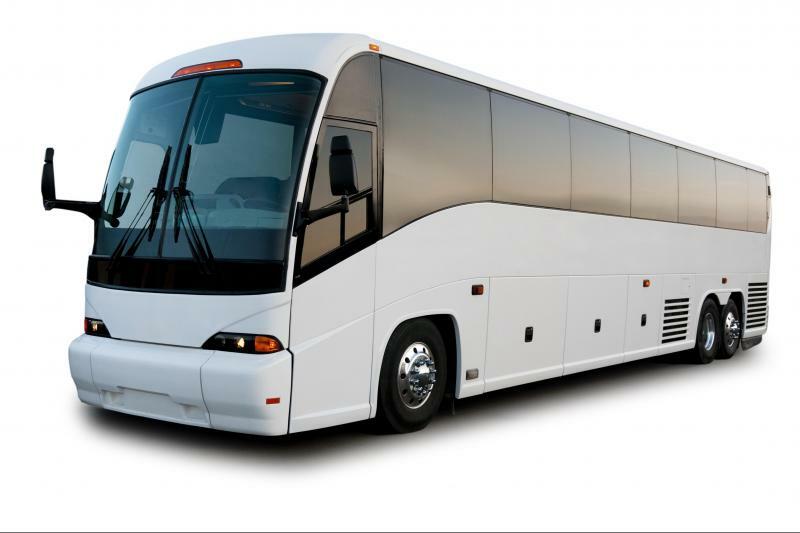 Coach buses offer their travelers all the right conditions for a comfortable trip. Air conditioning is the main advantage to ensure a non-frustrating traveling atmosphere, plus cushion seats, DVD players at your disposal and even wireless internet connection. We all know how some trips can become boring sometimes if there are not interesting things to be done or seen but Australia is full of surprises. There are so many coach tours to choose from that they’ll make you want to extend your stay. First of all you’ll want to get a full experience of the Blue Mountains. It’s a one-day tour from Sydney with a small group. This is where you’ll get to admire, gawk and take wonderful pictures of nature’s beautiful carvings with the Blue Mountains and the Three Sisters. You will also get to experience the rainforest floor after getting there on the world’s steepest railway. Enjoy a nice lunch and take your time regaining your strength for what follows within the National Park and then prepare to explore the caves of Jenolan. Everything is well supervised so you don’t have to worry about safety. After that, if you’re still in need for more adrenaline and fresh air you can choose to visit the port in the North Coast region on a full-day coach tour from Sydney. Let yourself dive into this magnificent, wild world by visiting the wildlife park and looking for dolphins. Get to see the koalas and the kangaroos but also the famous Tasmanian devil and then try some sandboarding gliding down a sand dune. You can ask to be taken to the sands if you like the sound of that. Sandboarding is just like snowboarding but on sand. This coach tour will blow your mind with all its fun activities and unique experiences among wild animals and mammals. What you normally see only on TV will no longer be just a dream. Whatever you decide to go for it’ll be worth it! Safe and comfortable drive towards your destination and guaranteed fun within each day tours in Sydney will get you feeling more alive and energetic like never before. Wild animals, wild mammals in their natural environment, mountains, rivers and national parks with zoos are only a few popular attractions among the multitude of other activities and new experiences you can discover when visiting Australia and taking its coach tours that leave from Sydney. Check out the Internet for more details and bookings. How To Find A Reliable Insurance Company? If you are planning to on a foreign trip than you should consider getting insurance in order to ensure that you get proper assistance if any mishap or accident happens during your trip. There are a number of insurance companies out there which offers or provides insurance to their customers. 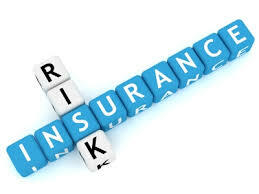 If you have decided to buy insurance then you should buy the right insurance which suits your needs and requirements. Know this fact that buying any insurance will not give you the result which you seek. Click over at this website to knoe more on reliable insurance companies. For getting right benefits of travel insurance and for getting a good deal you will have to find a reliable and trustworthy insurance company. As mentioned above there are number of insurance companies out there in the market and locating the best insurance company is a daunting and time-consuming task. In addition to numerous insurance companies, numerous insurance packages are also available. Selecting the right insurance from the available lot of travel insurances is a tough task. You will have to consider a number of things for selecting the right insurance. The very first thing that you will have to be aware of for finding the right insurance will be your needs. Know this fact that purchasing bundled tour insurance will not be a good idea as you won’t be able to us the insurance to its full potential Perth currency exchange. Reputation The reputation of the insurance company should be checked. Know this fact that a well-reputed company will always provide you quality service and will provide full assistance in hours of need. You can take the help of internet for going through the testimonies of former clients if the insurance company in order to know if they can provide quality service to their customers and have a good reputation in the market or not. Years of experienceCheck if the insurance company has good experience in this field or not. An insurance company with years of experience is more trustworthy than other company which is new to this field. Variety of options You should also check if the insurance company offers a variety of options to its clients or not when it comes to insurance. If you’re trying to get away from it all – the noise of the city, your job, the daily stress of school runs or thesis papers, why not spend an extra buck or two and experience a location that offers not only style and comfort but also different amenities that’ll help you relax? Boutique accommodations are ideal to wind down and feel rested. You could enjoy your time by visiting the spa for a full day of pampering, try yoga – something you’ve always want to but have never had the time, or have a long, hot soaking bath. Sleep in until noon with black out curtains, if that’s your thing. You could also spend some time in the fitness center or, if you’re feeling social, sip on some champagne in the clubhouse. If you’re not – bring alone your pet. Take advantage of the heated indoor pool or outdoor swimming pool. The possibilities are endless. The place itself will leave you feeling stunned with beautiful marble countertops, a fully functional kitchen, furnished rooms and a stunning balcony. It’s an interior decorators dream, photographer and dreamer’s perfect spot. The convenience of boutique accommodations not only benefits those who need some alone r and r time. It’s perfect for families, couples or friends. Why not take your fiancé on a romantic weekend or two and share the experience? Perhaps during a cold winter while you sit in front of the fireplace or watch a film together. Why not throw an intimate party in the exquisite living room? With a dishwasher, gas stove and other amenities – preparing such an event is as easy as pie. Or have evening drinks on the rooftop terrace with a view to die for? If you’re into sports –there are places with a basketball court, rock climbing, golf simulators and more. A wine lover – why not check out a place with a fantastic wine cellar? Or how about a place with a grand piano? Isn’t it any musicians dream? What ever your taste – there will be something for you. Whether it’s European, bohemian, modern or old-style. No matter near or far, the atmosphere alone can leave you feeling refreshed and inspired. Feel exhilarate – like a home away from home or even a mini-vacation, if you will. Looking for an apartment that gives guests a boutique accommodation that is affordable, comfortable and convenient, go right here. Go ahead; spoil yourself and or your loved ones. 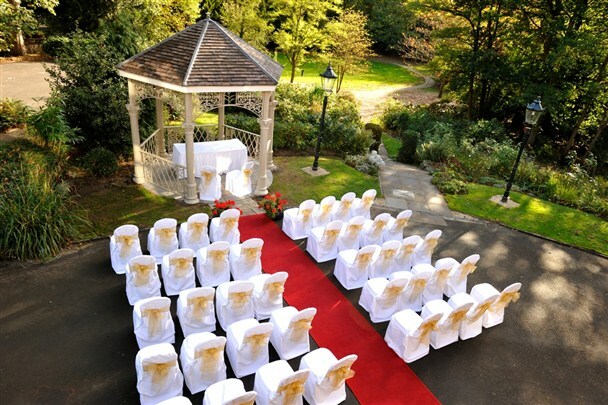 It’s a perfect location for any special event – Valentine’s Day, wedding anniversaries or simply to just get away. Make this space your own, settle in and take advantage of everything it has to offer. A very tough thing to perform when making a plan for a good vacation in summer season is selecting the best place that will definitely make a comfortable and memorable stay. It is difficult to make a decision what type of hotel to select mainly these days you have many choices. On the other hand, still you have to select one which will eventually make your summer season memorable and special. Here are some effective and useful tips to assist you search the best and the right place for you, your friends and your family in this vacation. Think about the position of the comfortable hotel. In case you are searching any suitable place nearby the nature, then you need to select those that are close to the beach or possibly those which are located at top of the mountain. It is favourable to understand first and make a decision what type of position you actually like therefore you can cut down your searches. For those people who have a preference a private place far away the hectic life of city, you may even choose mountain based accommodation or an adventurous forest garden. You can also check some activities and amenities they display. Moving to a tour to calm down doesn’t essentially mean you only need to stay in the room of your hotel and unwind and sleep every time. You can get pleasure from whatsoever your resort or hotel has in store for your treat. Therefore, you carefully check what type of activities they have in their place and what type of services they are offering to you. After check all the available possibilities you can also compare with each other. The whole these things are very necessary to understand whether or not you would like your comfortable stay. Before you make any decision carefully check the charges. Obviously, always it is suggested to spend within the finances. You not need to go home problematic or worried after your fun-packed trip understanding that you over your limit. Always, it is good to search the best and reasonable accommodation which is within your budget. Earlier than making final anything about your trip, confirm that you distinguish the charges of the hotel or resort where you will stay. Check their normal charges and in case there are some promotional at present. So, you would be capable to finances your expenses for activities and food according to your budget. 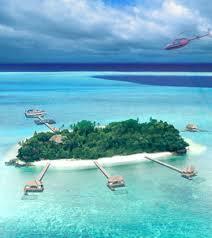 It is sure that if you have proper plan and best hotel or resort then you will enjoy a lot. You can without any difficulty make it memorable if you better understand how to select the best comfortable place in your vacations. Are you planning a holiday? If yes, then one of the best destinations for vacation is Bintan Island. As being in the Riau’s region, it is the largest island with the area of 1140 square km. Truly it’s like a heaven. Family, friends, beautiful beaches give us more relaxing time. If you are visiting Bintan, then you should not miss the Trikora Beach, Kawai, Tanjung Pinang, Kijang and Bintan resort site, you can see the full details here for Bintan island resort packages. Whether it is an off romantic holiday, a trip with friends or a family trip, there are various Bintan island resort package that will make your trip very affordable, simple and a memorable one. Here are some reasonable and exciting packages and deals for you. Please have a look. • Tour of Penevengat Island including Sultan King Castle, Malay King Bismillah Monument. • Sightseeing tour of Tanjung Pinang. • Optional tours, Visa free, Personal insurance, Porterage fee and all personal expenses. • And tipping the tour guide. • One night stay at Bintan Agro Beach and Spa Resort deluxe room. • Complimentary cold towel and one welcome drink. • Double or triple sharing room. • One breakfast, one lunch & one dinner. • One cold towel on arrival & one welcome drink. • Water sports games or activities. 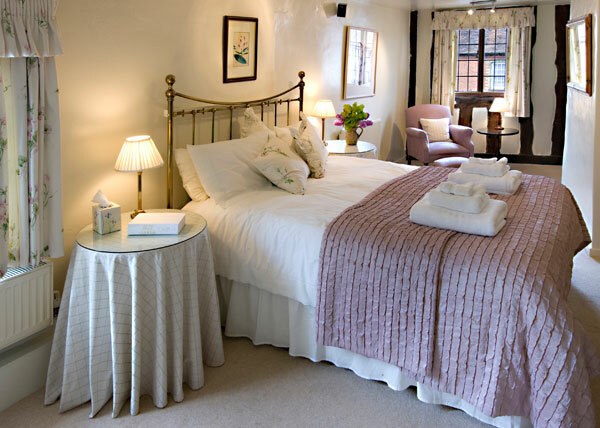 • Two night stay in the standard room at KelongElly. • One-day free using of the fishing rod. • One day free fishing at KelongElly. Returning of ferry tickets (Tanah Merah to Sri Bintan terminal to Tanah Merah). • One night stays on the boat in air conditioned room. • Breakfast, lunch and dinner. Many people plan their summer holiday ahead of time, and this practice actually makes sense, since it allows you to enjoy hot deals on flight, accommodation and leisure activities. Whether you don’t leave the boundaries of your city or country, or decide to travel abroad, there are many inns, motels, hotels and clubhouses that offer cheap accommodation in Murray River. When you book your room, make sure at least one meal is included in the price; continental buffet breakfast is usually offered, though cooked meals are sometimes available as well. To make the most out of your stay, try to get a room with large windows so that you can enjoy beautiful views and plenty of natural light during the day. Actually, double and triple rooms are a great way of saving some money as the cost per person is considerably lower as compared to that of single rooms. If you are looking for more cheap accommodation deals, try going during the week because it is cheaper, even up to 150 USD per person, than going on weekends and on public holidays. Packages for larger groups, whether for business or private purposes, offer discounts to accommodation and leisure activities. Also, take advantage of the special offers of many resorts and hotels, where for a limited time you can book deluxe rooms at standard prices; while these may not be exactly cheap, they provide a great opportunity to enjoy a bit of luxury and pampering without spending a small fortune. Other facilities to look for include: car parking (with short term and overnight parking for motor homes and RVs), room service, suites with refurbished kitchenettes and private bathrooms, ATM, TV, wireless and broadband Internet access, a bar, spa, barbeque area, a lounge, and covered or outdoor pools where you can relax. River cruises, live music, and raffles may also be offered. Clubhouse facilities such as access to golf courses, bowling greens, tennis courts, the possibility of hiring sporting equipment or arranging for a massage are extra ways of having fun on your holiday. While the parents relax, children can horse ride or visit the playground under qualified adult supervision; bus transfers, lunch and snacks are sometimes included in the final cost of these activities. Most clubhouses and hotels have large corporate functions and modern equipment that can be booked in advance for conventions and seminars where both managers and employees can gain expertise and talk business. If you attend an event organized by your company at such a venue, maybe you can arrange to stay longer with your family to take advantage of any discounts and special offers. Due to the number of specifics that must be taken into account during a wedding, it is often fairly easy to overlook some of them. There are instances when some details can be overlooked with little or no effect at all, but most of the time, forgetting even the minutest particulars can ruin a supposedly joyous day. Here are a few details that you should not forget when planning your own wedding. It is a standard procedure for every wedding to provide guests with directions, especially when the venue is located somewhere far from your locality. It comes without saying that no guest would want to get lost on their way to your wedding. It might ruin the mood, and might even cause late guests and attendees. Consider posting signage, especially if a few meters walk is needed to get to the chapel or venue for your wedding. Nevertheless, the distance should not limit you with the desirable marriage locations you have. Inviting kids for your wedding may prove to be inevitable, especially if the ceremony is family-only. Kids can become a source of inspiration during your wedding, but you also would not want them to be in their bad behavior during the wedding. If possible, set up activities kids can do while the adults enjoy the wedding ceremony. Coloring books may come in handy, but games and a few movies can also help when you put them in a separate room during the reception. Wedding venues in themselves can already provide the ambiance you want for your wedding, but sometimes it is also good not to go with just plain. First impressions are important, and giving a personal touch to the walkway will make guests feel more welcomed and thus making them more excited to move on with your party. The entrance doesn’t have to be too expensive. A few decorations would do as long as they represent a theme, if you have one, or stories about your love story. This can even make the atmosphere more romantic, and will positively affect the mood of the audience. These aren’t always needed, especially if the budget can’t afford it. Still, they are a great way to leave your guests, a simple reminder to reminisce the day of your wedding. It can be as formal or as informal as you want them to be. The important thing to remember is that you want to thank your guests, and that you want them to remember the special day you shared with them. In addition, the romatic getaways should be planned also. To know more about romantic getaways in Brisbane, just visit this link http://www.pethers.com.au/ for details. If you want to make a real difference with your summer, then the best option is to do some volunteer work. If you choose to work at a community for retired people, you can see the impact that your work will have on making them have a better quality of life. You can really provide a service which is necessary for these people, as well as enjoying fulfilling work which makes you feel as though you are doing something worthwhile. What is more, you can put this on your CV and have a much better prospect in job markets in the future. It’s a win win situation. If you volunteer to work at a retirement village in Central Coast, the main duty that you will need to take care of is simply socialising with the residents. Have a chat with them and make them feel as though someone is listening to what they have to say. This can really make their day. You can also help the staff out with some of their daily tasks. You might help to call out the bingo balls during a daily game. You might read a book aloud to those residents who are no longer able to read as easily as they used to. You can go on a walk with them or push their wheelchair along. This is a chance for them to get a great experience from their retired life. Of course, there are plenty of benefits to volunteering. As we mentioned, it might make you look more impressive to employers in the future. It’s also true that volunteering at a retirement village will allow you to give more back to the community as a whole. You can support local residents, and perhaps even members of your own family. The level of personal satisfaction that you will experience from this kind of work is very high. The first thing that you need to do is to get in touch with the village and the person in charge of volunteers. You can normally find their details on their website, or you can even go down there in person and speak to someone on reception. Then you can discuss what kind of opportunities would be available to you at the moment, depending on how much time you are able to give. You can come to an arrangement and then you will stick to the schedule that you have agreed upon when you visit in future.